Main Gear Track 23 ft. 1½ in. Diameter 13 ft. 1 in. Root Chord 11 ft. 10 in. Tip Chord 5 ft. 7¾ in. Span 36 ft. 0 in. Root Chord 7 ft. 4 in. Tip Chord 5 ft. 4 in. Height 18 ft. 1 in. Root Chord 14 ft. 10 in. Tip Chord 8 ft. 6 in. 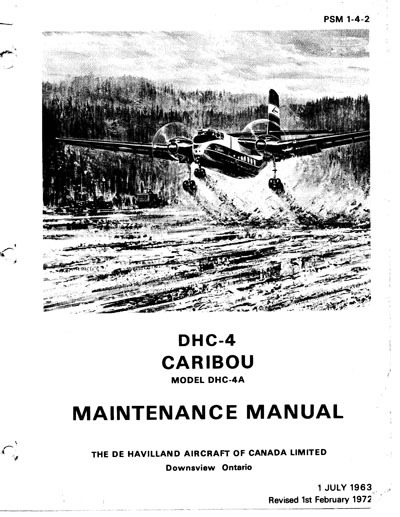 Click on the image above for Jon Drury's 1962 De Havilland Caribou sales brochure. 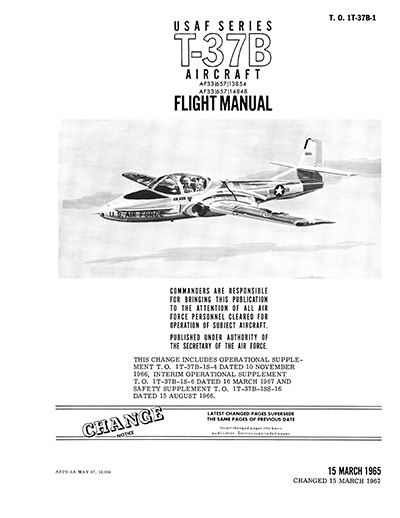 It is in PDF format and is about 3 MB in size, so you may want to right-click and use "Save Target As..." to save a full copy on your machine before viewing it. 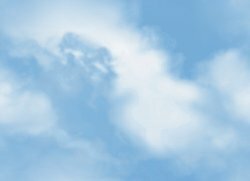 This is a very large file (388MB), so it is highly recommended that you right click on the above image link and select "Save Target As..." to place a copy on your own machine. T.O. 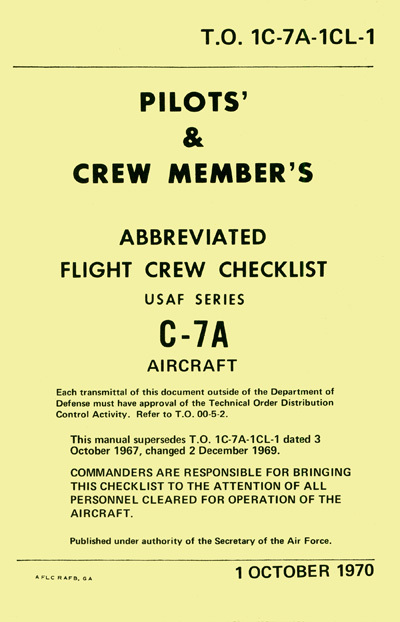 1C-7A-1CL-1 Flight Crew Checklist. This is also large (44MB), so right-clicking on the above image and selecting "Save Target As..." will allow you to copy it down to your own machine. 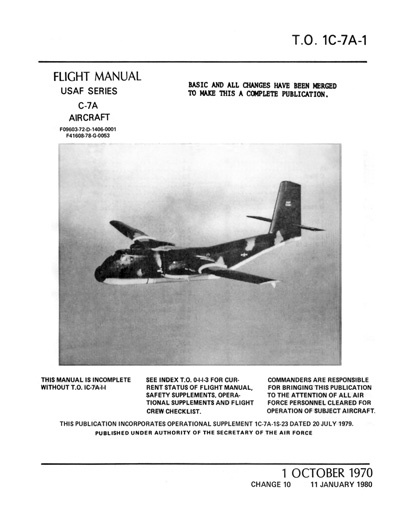 In the absence of a real USAF dash 2, this manual will have to suffice. 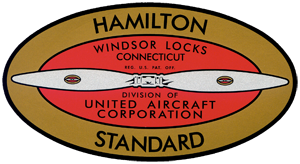 Once again, this is a large file, so it is highly recommended that you right click on the above image link and select "Save Target As..." to place a copy on your own machine. 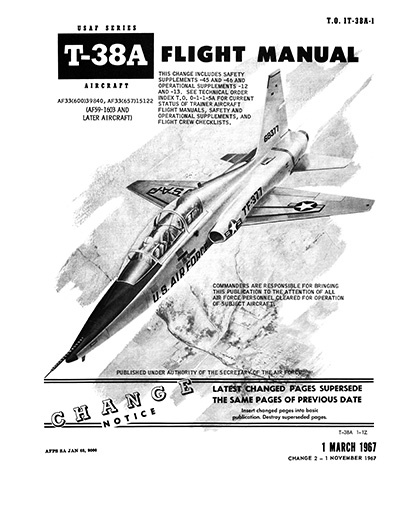 For those of you who fondly remember the 6,000 Pound Dog Whistle and the White Rocket, I dug these out of my archives and turned them into PDF files. They are both several hundred MB, so the same advice applies; right-click on them and download them to your own machine. 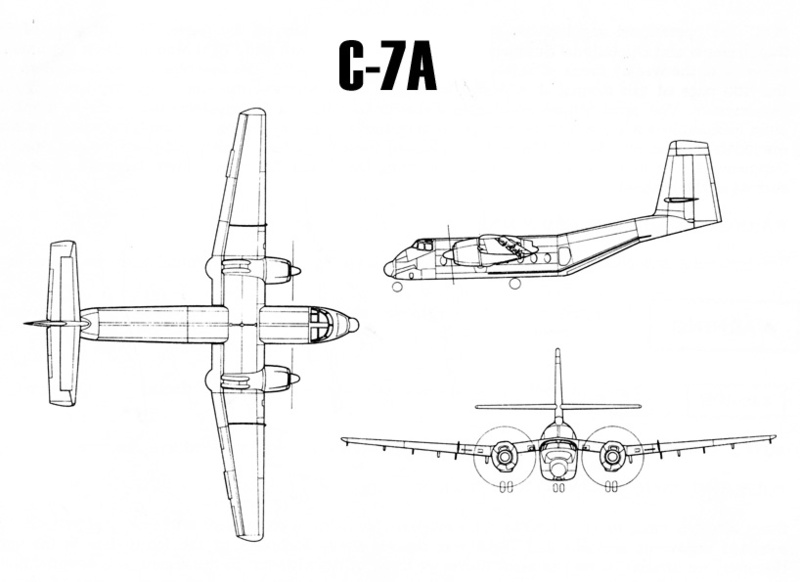 These are only indirectly associated with the Caribou, but it is how many of us arrived at the C-7A.